This month we are looking at the file 'PC35/6/1 - Development of Civic Centre & City Hill - General File'. This file covers the early ideas for housing in Blanfordia (Forrest), Telopea Park School and the planning of Civic Centre by the Federal Capital Advisory Committee in 1922. 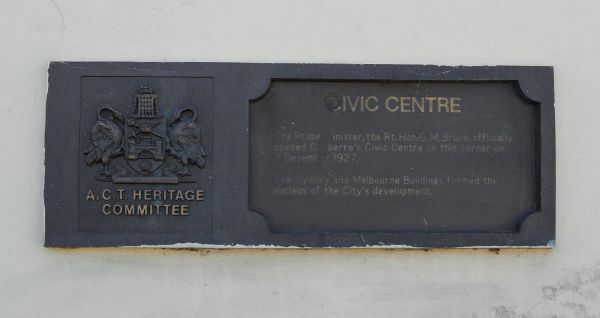 The Federal Capital Advisory Committee had been formed in 1921 to advise the Minister of Home Affairs on the Construction of Canberra and Review the Griffin Plan. The committee operated until 1924 when it was replaced by the Federal Capital Commission. The following folios illustrate that departure from the Giffin Plan was in evidence before construction had even begun. The blocks of "specific self contained shopping centre surrounded by a continuous arcade" appear to be describing the Sydney and Melbourne buildings.